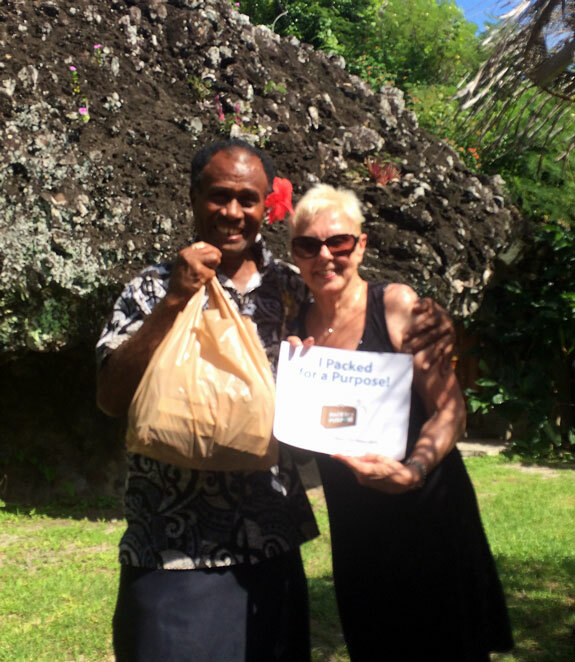 I was privileged to be at two Fijian resorts that support “Pack for a Purpose” on this trip. The Barefoot Collection is the drop off location for Kese Village,in the Yasawa islands. I always make sure that Kese Village gets the much needed health care items. 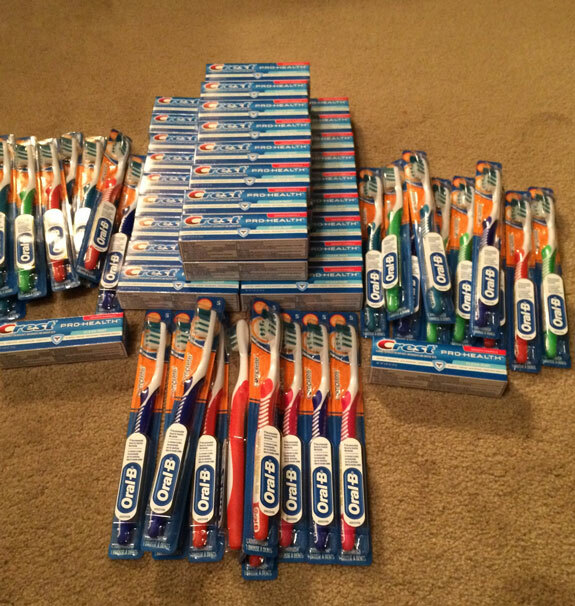 I was able to deliver 34 tubes of toothpaste and the needed 36 toothbrushes. My last day in Fiji, I visited Vomo Island Resort. 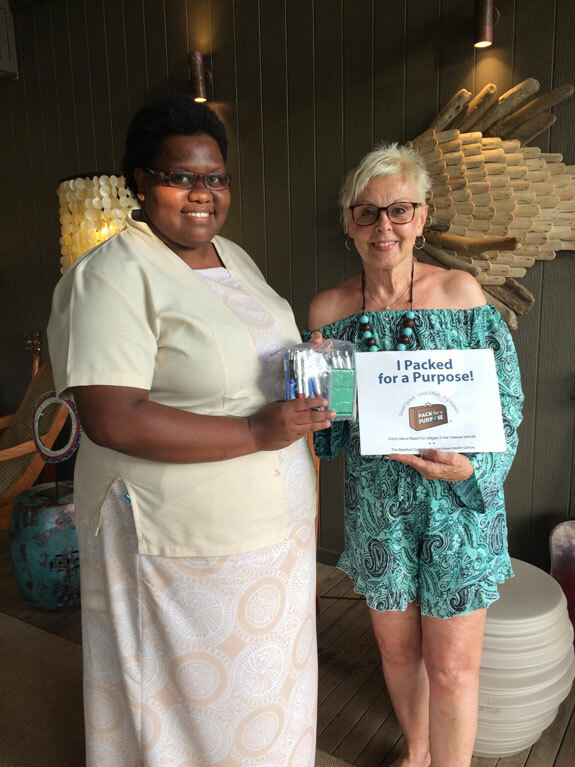 They support a local village through “Pack for a Purpose”. Here, I had brought a zip lock bag full of new pens and calculators for the children there. Always going with my printed “Pack for a Purpose” sign. It never fails to get people asking what that is all about. I love helping out the outer islands where the needs are the greatest.